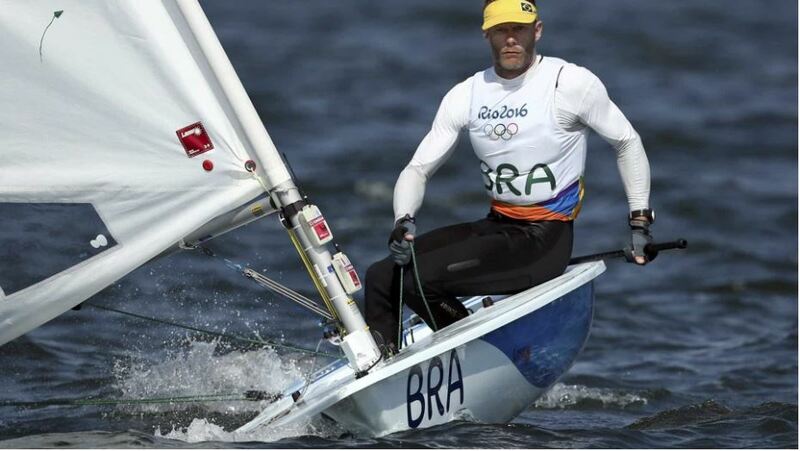 (Sao Paulo) Just over a year after announcing his retirement from Olympic sailing, Robert Scheidt, at age 45, found the motivation to start a new campaign, this time targeting the Tokyo Games in 2020, Japan. The winner of five Olympic medals , including two gold medals, he announced on Tuesday that he is back in competition in the Laser Class. “I still feel competitive and still love sailing,” he said. If he achieves his goal, he will be the Brazilian record holder, appearing in seven Olympic games. “From 2018, when I returned to do some training in the Laser, in Lake Garda (in Italy, where he lives with the family), along with some Italian sailors and some foreigners, I felt that I was still very competitive, with a good level of physical energy. I began to think that perhaps there was the possibility of trying another Olympic cycle. Then I sailed in the Copa Brasil where I was the runner-up. But from that I found the motivation and willingness to try one more time, probably the last chance I’ll have to seek an Olympics. The will to overcome and to achieve that goal spoke louder,” explained Scheidt. Robert goes in search of the sixth Olympic medal, the fourth in the Laser class, in which he earned two golds (Atlanta / 1996 and Athens / 2004) and a silver (Sydney / 2000). But Scheidt says he is sure to think just one step at a time. To improve his pace, Scheidt has already set the schedule for international competitions for the first half of this year. The European spin begins with the Princess Sofia Trophy, starting on March 29 in Palma de Mallorca, Spain. Then, in April, he goes to Hyères, France. He then heads to Japan to compete for the Japan ILCA World Championship, starting July 3. In addition to the technical, tactical and rhythm aspects of sailing, physical preparation plays a fundamental role in the Laser Class. “Taking good care of the physical part and taking care of the risk of injury will be important factors. I will be very careful with the volume of training, seeking more quality than quantity and respecting the time for rest. I will try my best to manage the pain and avoid hurting myself on this path. Let’s hope not to suffer any serious injury, which prevents me from participating in competitions,” said Scheidt who will be 47 years old in 2020.